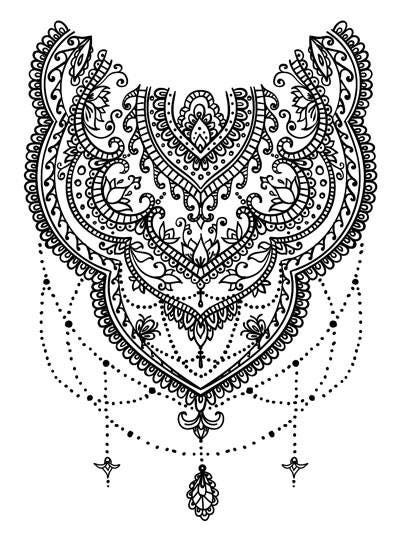 2 boards of temporary tattoos in the black and white style! You can find on these boards 2 tattoos representing lace ! How long does a tattoo? Holding tattoos depends on the area you apply it. An area with daily and frequent frictions, tattooing takes less time. On average, tattoos are 2 to 5 days depending on the area. The water, rubbing, perspiration, not may scratch your tattoo. 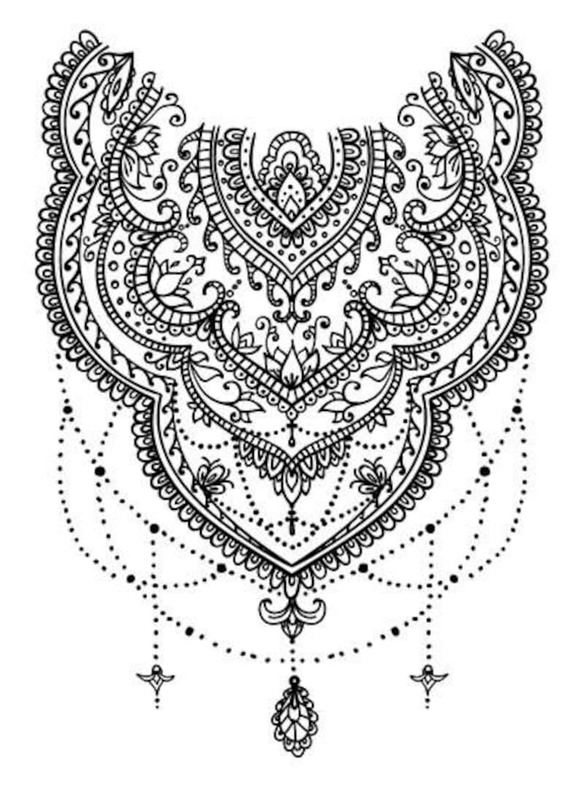 The paper used for printing tattoos is of excellent quality and enables a long held without deterioration. How to apply the tattoo? 1 - The skin should be clean (no oil, makeup, etc.). Choose an area of hairless body. 2 - Remove the protective transparent sheet of the tattoo. Without touching the adhesive area. 3 - Place the tattoo on the area to be tattooed, pattern facing the skin. 5 - Wait about 20 seconds by pressing lightly and gently remove the wet sheet. 6 - Allow the area to air. As shown; a good size and nice color density. Will be giving as a gift so will look forward to seeing these on the skin.